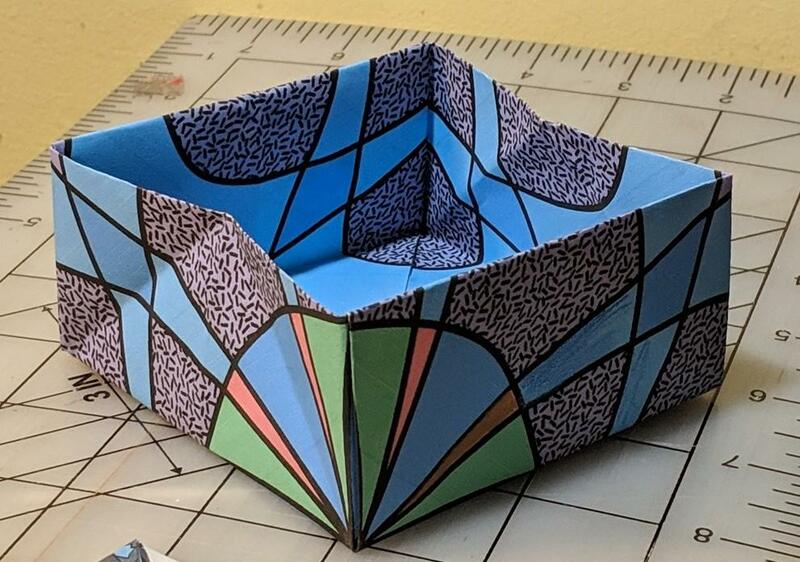 I’m continuing to work on coming up with designs to use with some of my paper folding projects. This time around curvy lines are what I’m interested in. Valentine’s day is around the corner so of course I’m thinking about curvy lines. 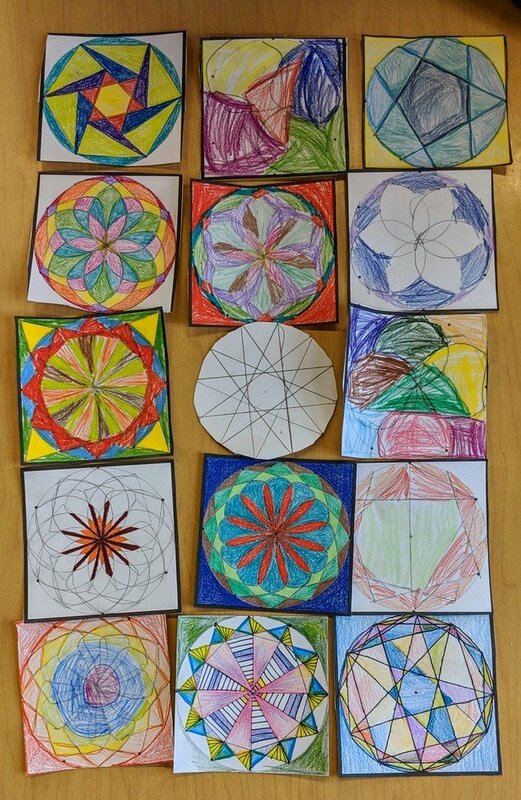 After seeing some images I posted on twitter ,my friend Kathy H @kathyhen_asked me to blog about how I make these so her students might have some fun with curves. My initial reaction to her inquiry was negative, as I rely heavily on Adobe Illustrator, which isn’t very accessible. It took me a day or two to realize there are other options available for a student/person-with-computer, so here goes. 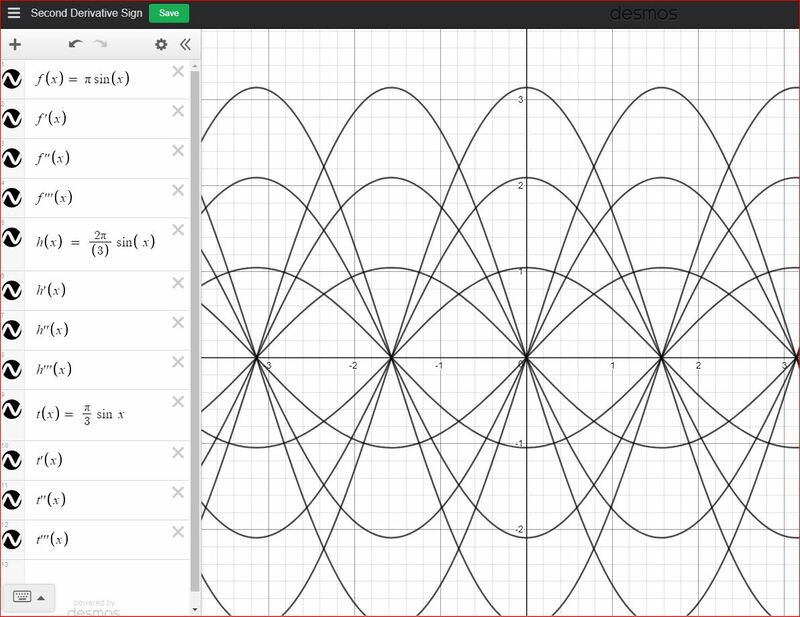 I start out in a free on-line graphing program called Desmos. To plot curvy lines we need to direct the graphing calculator to plot something that is cyclical. 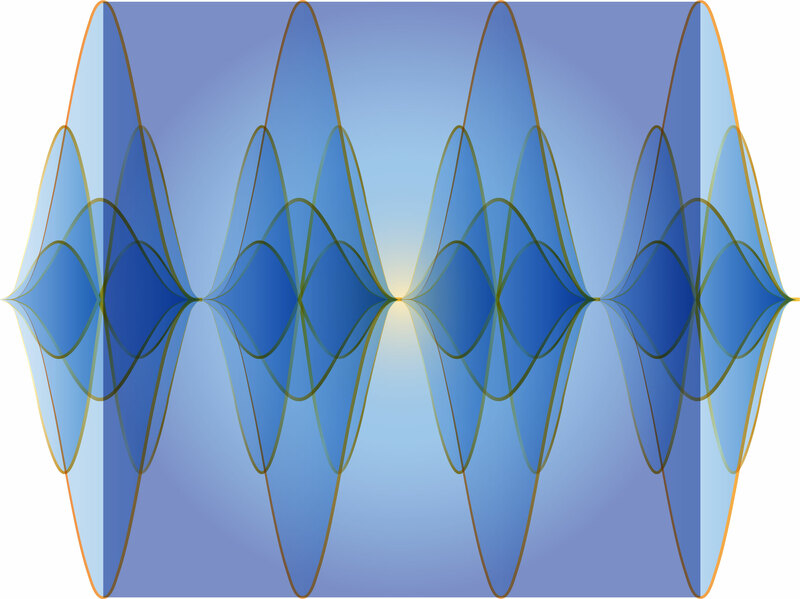 Think of a pulsing wave that goes up and down. The easiest way to tell the graphing calculator to make a wave is to reference a sine function. This is as easy as typing in a few letters. Here, take a look! https://www.desmos.com/calculator/welqj0gbm2 Be sure to play around with changing the numbers on this graph, so you can see how simply changing the numbers changes the curve. The next thing I do is try to make the curves more interesting. One the ways I do this is to direct the graphing calculator to multiply two cyclical functions together. 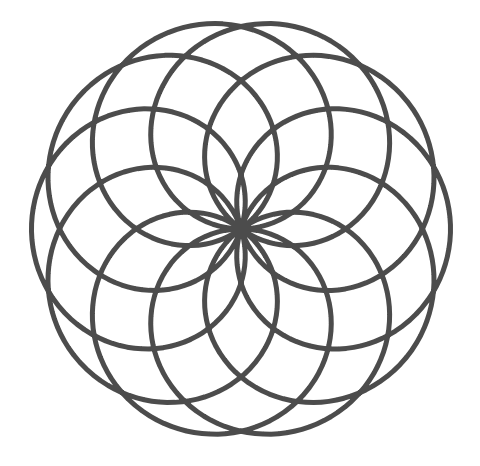 To see what this looks like, go here https://www.desmos.com/calculator/deea2nnuzb. BTW one of the advantages of going to these graphing links is that you can use and modify these if that is more comfortable for you. The only thing to keep in mind is that if you want to save your own changes you have to make your own account, Which I recommend. Last thing I play around with is making curves which relate to the curves that I have, but are different. These secondary curves are derived from the first curves, but follow different rules, Look at this link https://www.desmos.com/calculator/iedzflkoot Be sure to read the notes. What I need to do next is to make the graph into a an image that I can color. For me, that means taking it into Adobe Illustrator and trace it using the pen tool, then color it in with the Live Paint Bucket tool. There are other options. 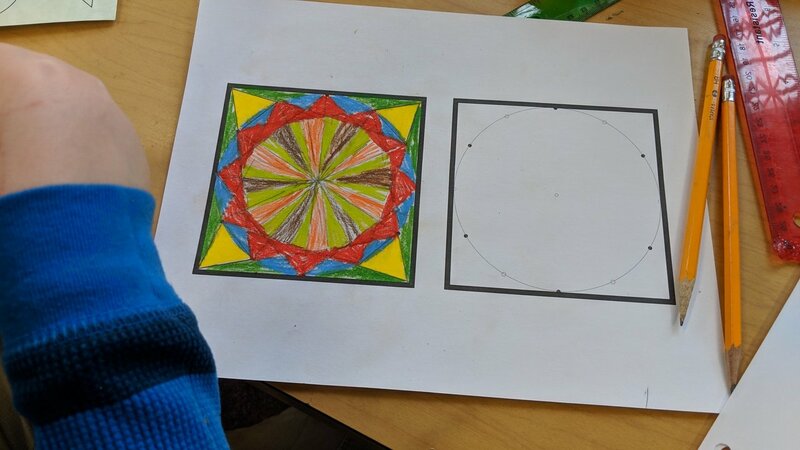 The simplest option would be to hit the print button in Desmos, then simply trace the pattern you’ve made and color it in. 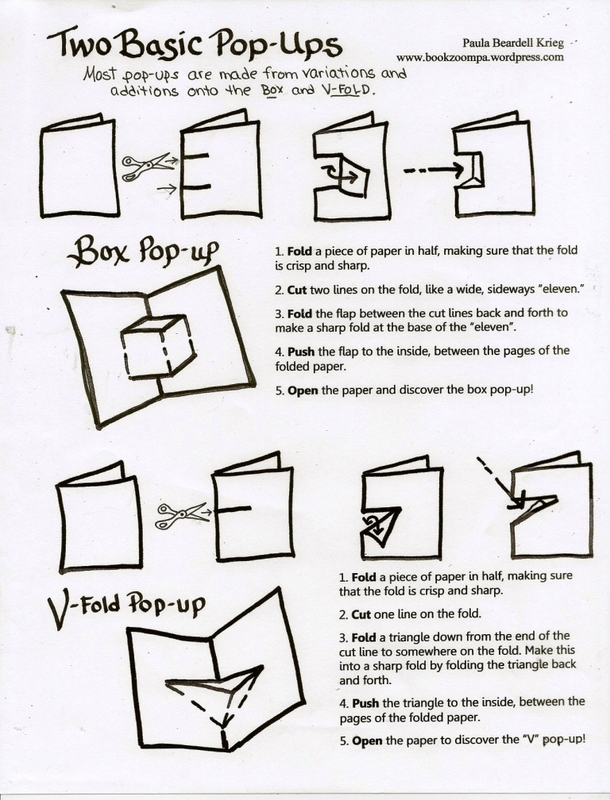 Make copies of this if you have access to a printer. Doing these by hand has a charm that no computer can match. 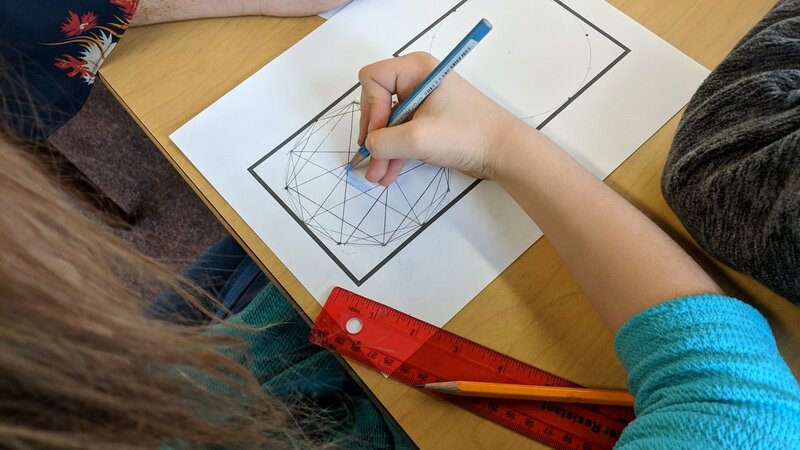 Another option is to use a different graphing tool called Geogebra that can output a file that can be opened in a free online vector program called Inkscape. 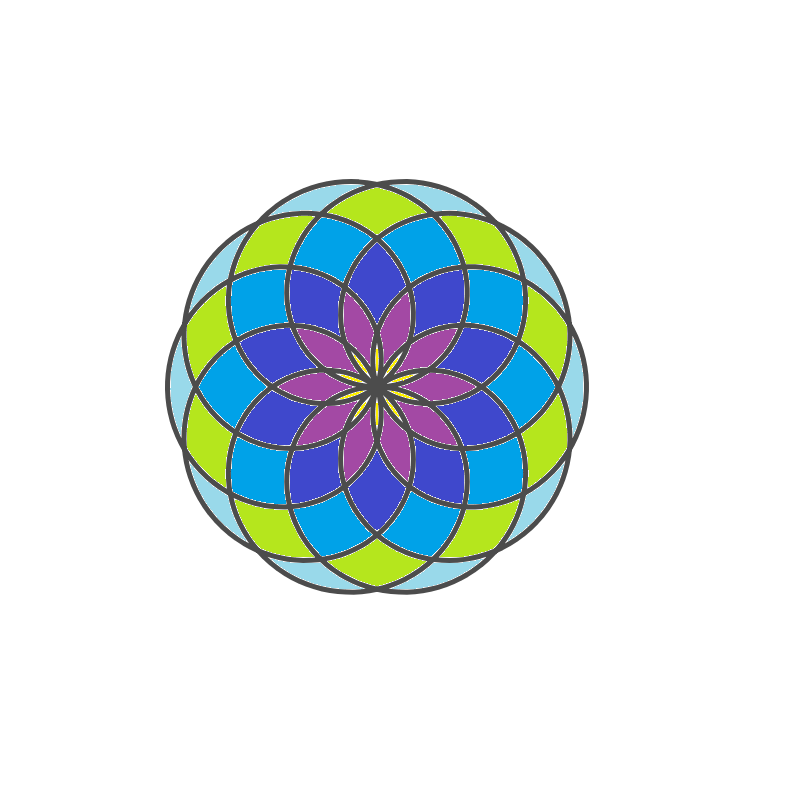 https://inkscape.org/ What you have to do is, from the dropdown menu on the upper left hand corner of Geogebra, is choose Download As, then choose SVG. Then, open this file in Inkscape. Personally, I can’t do everything I want in Geogebra simply because I am not familiar enough with Geogebra. Today I wanted to use the workflow I’m describing here, but I couldn’t figure out how to tell the graphing program what I wanted to do. What I did next was ask for help. Jen Silverman @jensilvermath came to my rescue and inputted my curves. https://www.geogebra.org/m/vtstwgwx Asking for help is a completely reasonable workflow. These programs are so user friendly that, after not-too-long, we won’t need to ask for help. But ask for help for as long as it takes to learn how to do this on your own. Used Inkscape for the first time today. I didn’t know how to do anything. Googling questions about Inkscape was easy. Again, this is a program that is designed to be user friendly. This is a post that makes sense to me, but am not sure if I’ve been clear enough. Having access to this technology that creates these magnificent curves can be so enjoyable. Be patient, though as it takes a good bit of playing around to get a really satisfying image. Then don’t forget to hit the save button! Happy almost-Valentines day. Addendum, later today. Read all about it! This may make for an easier workflow. 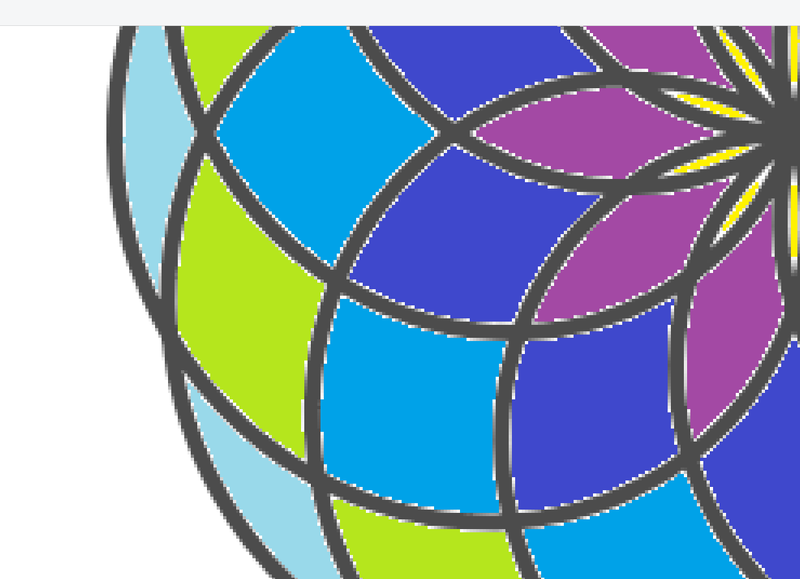 My friend John Golden got me to try out coloring a Desmos file in Paint, which, I think, is standard program on most computers? Well, as least my computers always seemed to come with Paint, so it must be easy to get. It’s a raster program, so images won’t be super smooth, but, for classroom work, it’s looks great. Next open the image in Paint then use the paint bucket to fill in the blanks. It’s true that the edges won’t be perfect. Raster images don’t do curves well. Even though, close up, the edges are rough, still, this prints up quite nicely. This is definitely a way of getting the job done! 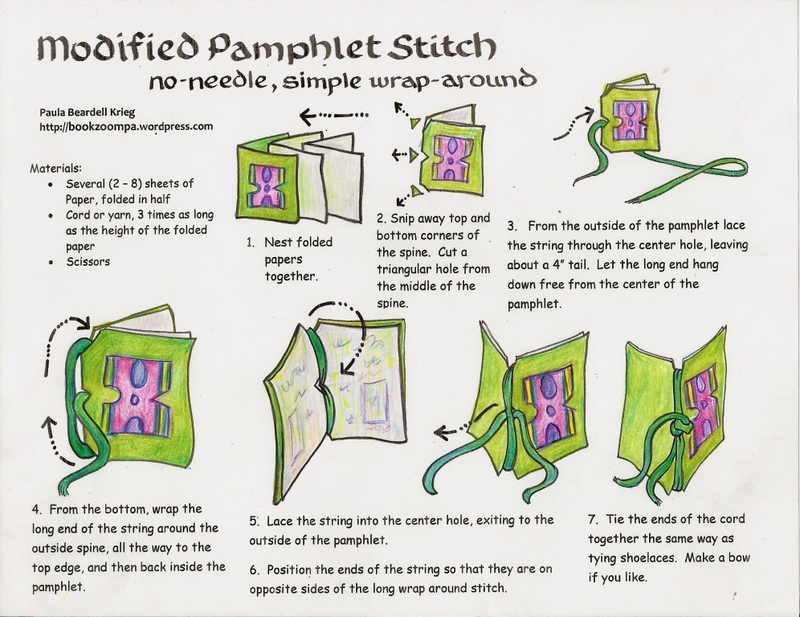 This was bound to happen, that I would put up a post on my book and paper arts blog that appears to just be about math. Initial impressions sometimes need refinement. Anyone who follows me has probably noticed my attention to math ideas emerging as a theme. I’ve been paying attention to math and it is shaping how my creative work is evolving. 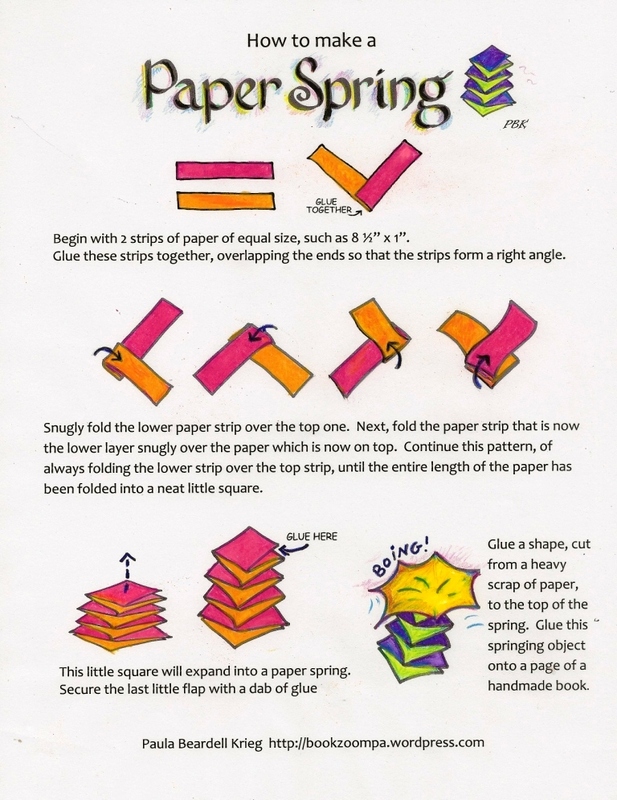 What I am here to say right now is that I think that math needs more designers and paper engineers. 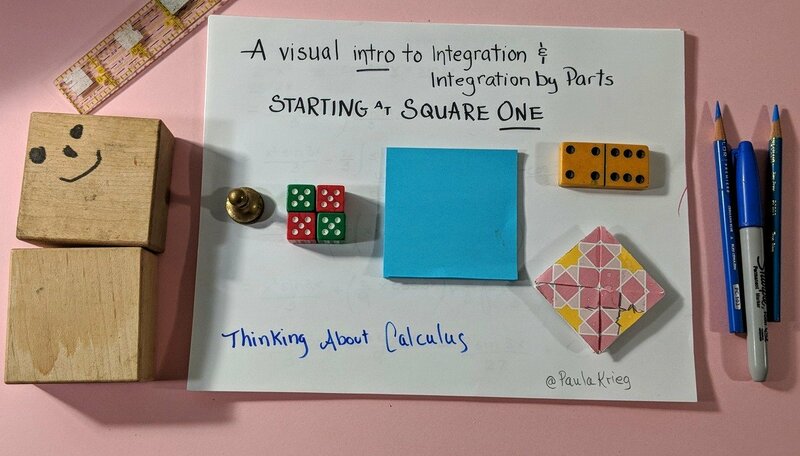 When I was doing integration by parts problems it occurred to me to make a foldable that organized the information I needed to do these problems into a handy reference page. I got lots of input and help from folks in the math community. I now have a greater appreciation for people who write whole textbooks, as just this one foldable was a big deal to do. 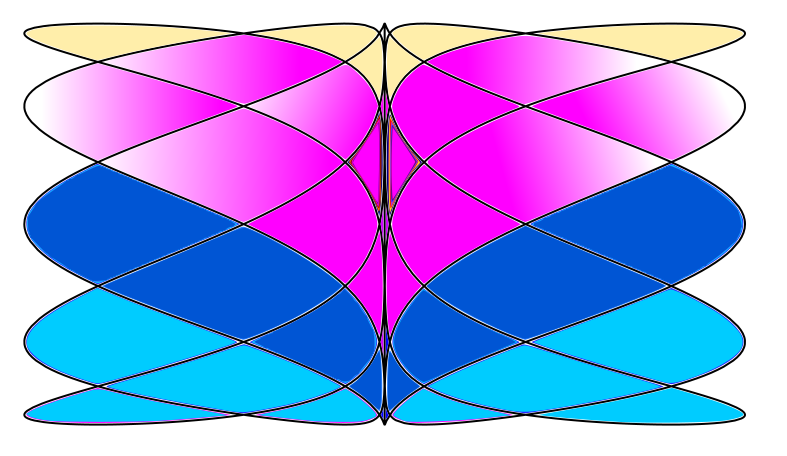 the foldable version: Foldable for integration by parts, P Krieg. 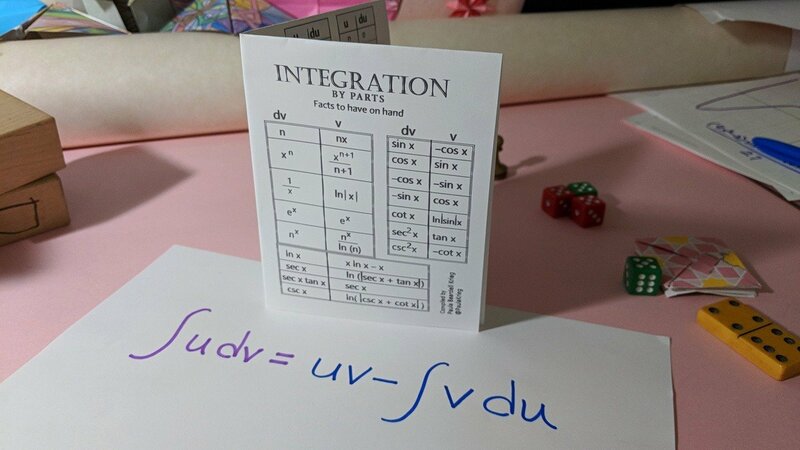 full page ( not meant to be folded) Integration by Parts tables P Krieg. I’m going to be making a series of videos integration-by-parts. 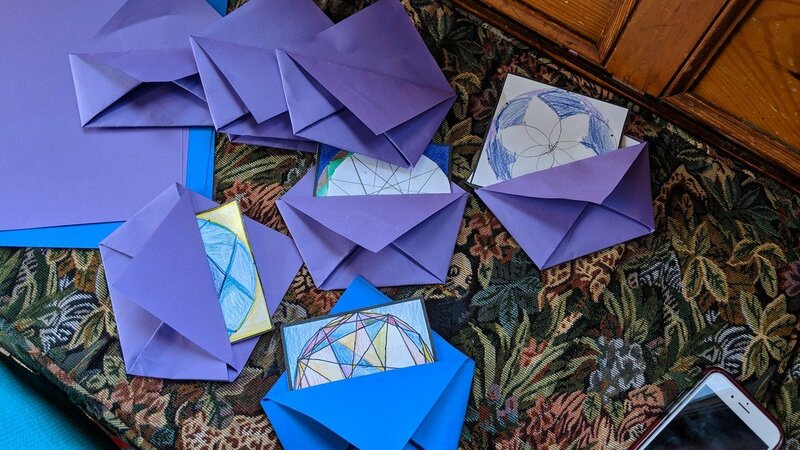 As they are done, I will be editing them into this post so that I don’t flood my book arts followers with math videos. Still, I hope some of my non-math friends will take a look at this up to the 6:05 minute mark and tell me if it makes sense to them at all. 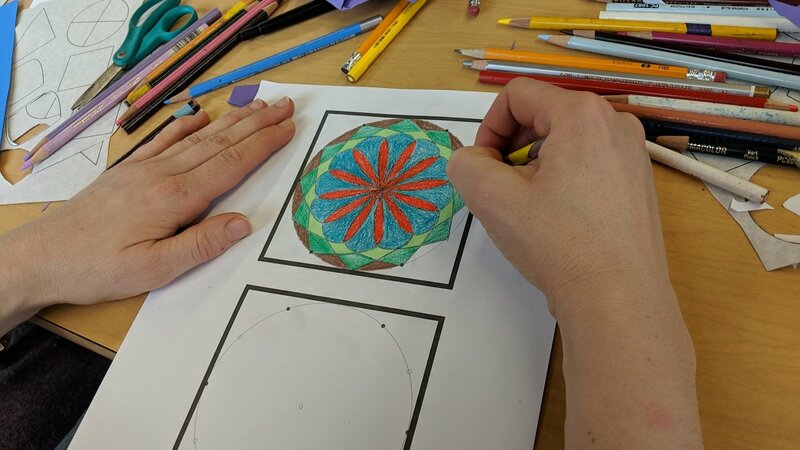 I am really enjoying being an artist who thinks about math instruction as a design issue. 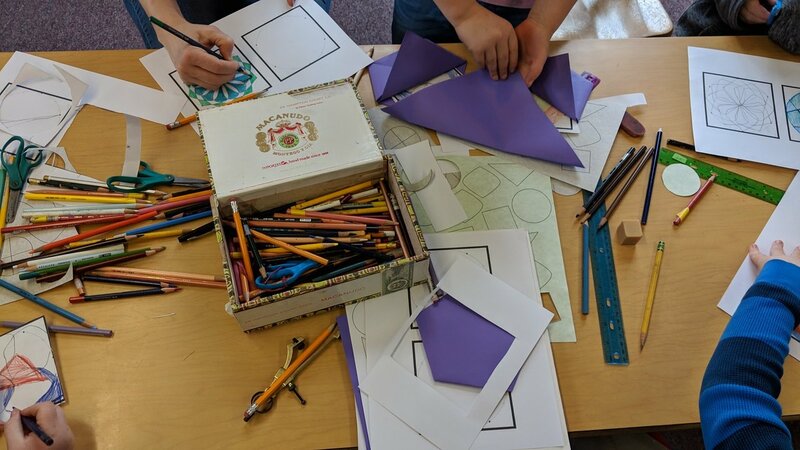 Much of my thinking about math, as in my thinking about book arts instruction, centers around the weak links, meaning I search for places where misunderstanding sabotages learning. This next video tries to address the disorientation of no longer solving for x, after solving for x for so many years. Here’s the third video. At this point there’s not much here of general interest as it’s getting more specific to this specific method. Finally, some worked examples. So far I’m showing two problems, but hope to add two more in the near future. Then these will be done! The one below has a bit of bonus material about Desmos.com near the beginning. 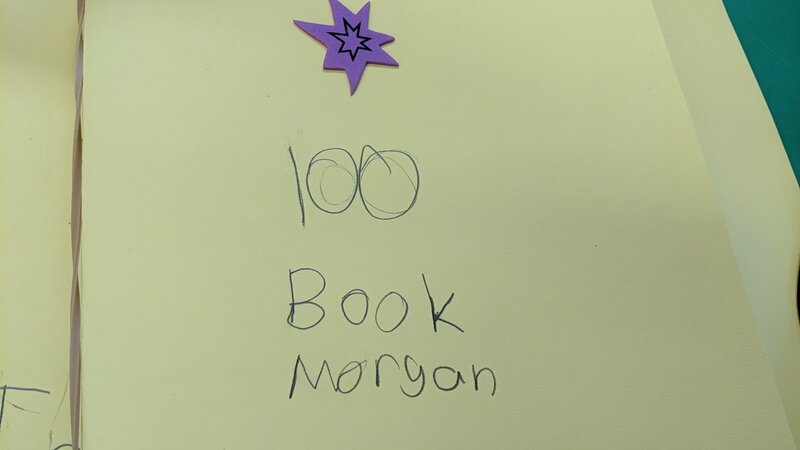 About a month ago Simon Gregg posted a string of images about 100-books that were assembled by his class of 5 and 6 year olds. 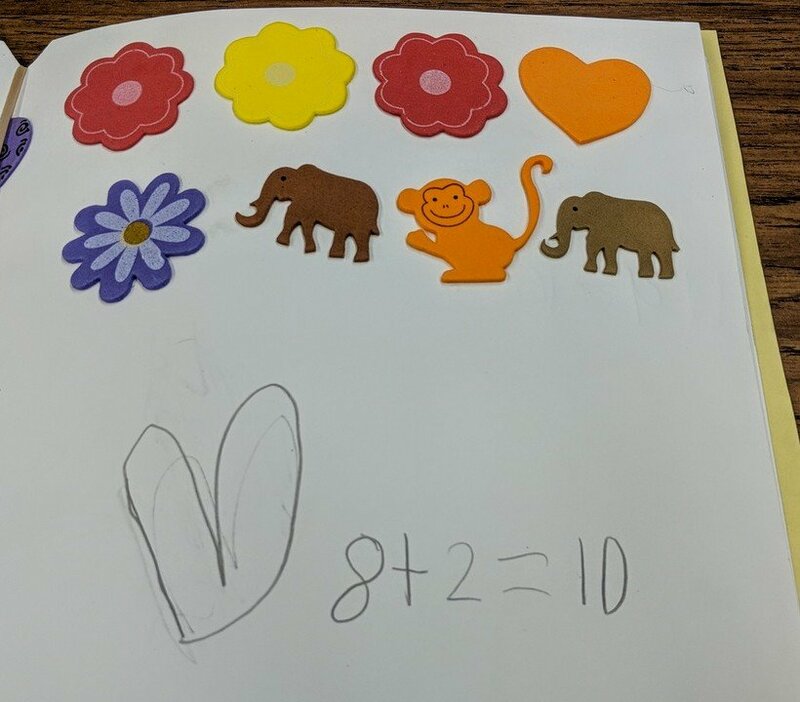 On each of page there was a group of items that added up to 10. That’s 10 pages of with 10 items, so it’s a 100-book. 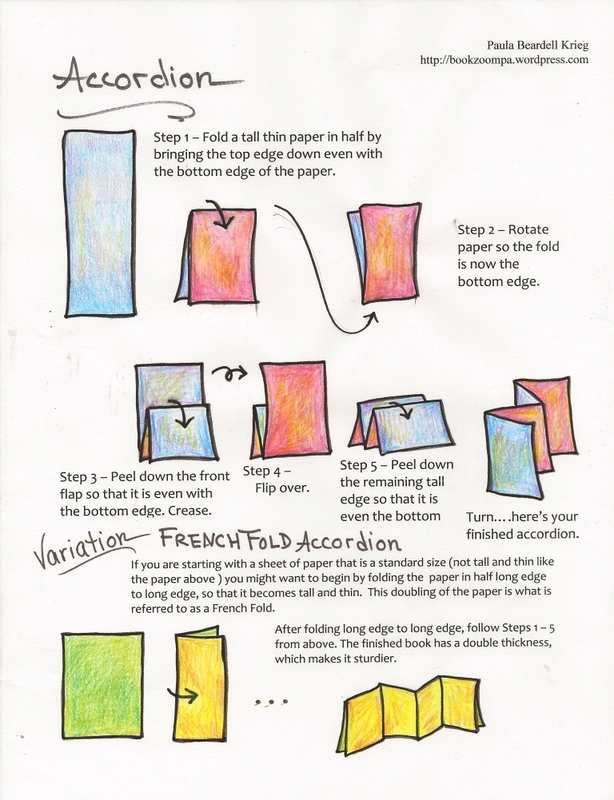 I want to do this project with 5 and 6 years olds! 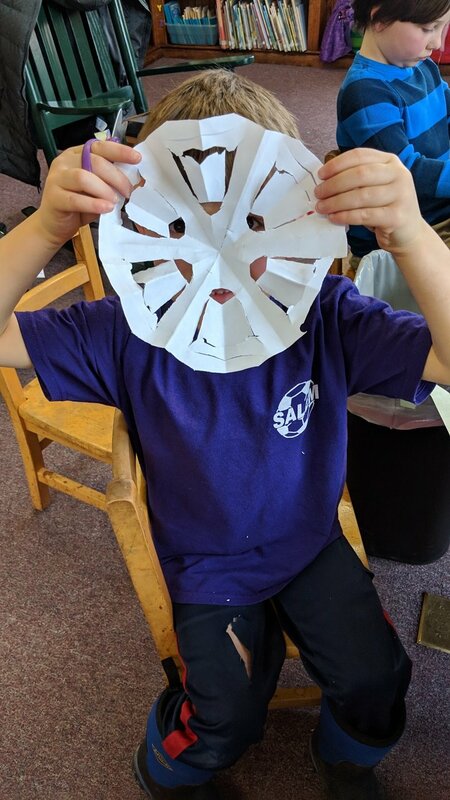 I ‘ve been in kindergarten classrooms all this week, doing a literacy based book project, but I noticed that there was one 40 minute block of unscheduled time in my schedule so I asked one of the teachers if I could try out this project with her class. 40 minutes was just enough time to get this book started, to get a feel for it. I assembled books for the whole class, just to expedite getting to the content. 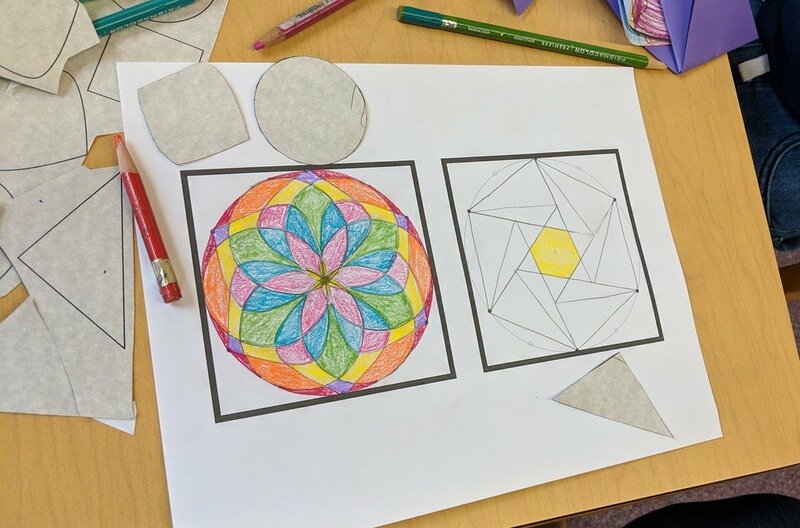 Although I didn’t realize about how this project would be received, the bottom line is that the kids enjoyed it, were enthusiastic to continue working on it, and seemed to be making some new connections. I debriefed with the teacher the next day and we agreed it’s a project worth developing. She is continuing the book without me: her kids are demanding to finish! I wanted this to be a tactile book, and one that combined objects and finger counting. I brought in lots of foam, sticky-backed items. 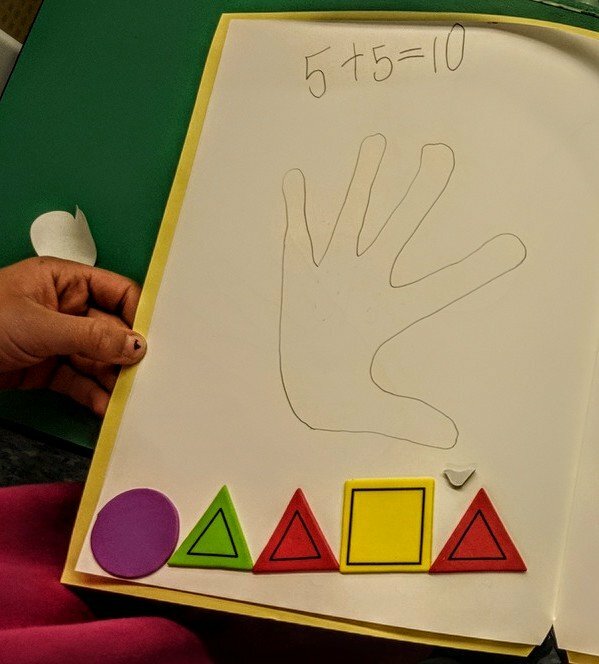 Students put a number of items on the page, hopefully in an arrangement, then traced the number of fingers they would need to make the total of items and fingers equal ten. When there were less than five fingers to trace, the finger image looked rather odd, but the kids didn’t seem to mind. Our first page, which I don’t have a photo of, was two tracings of hands, so that was five plus five equals ten. 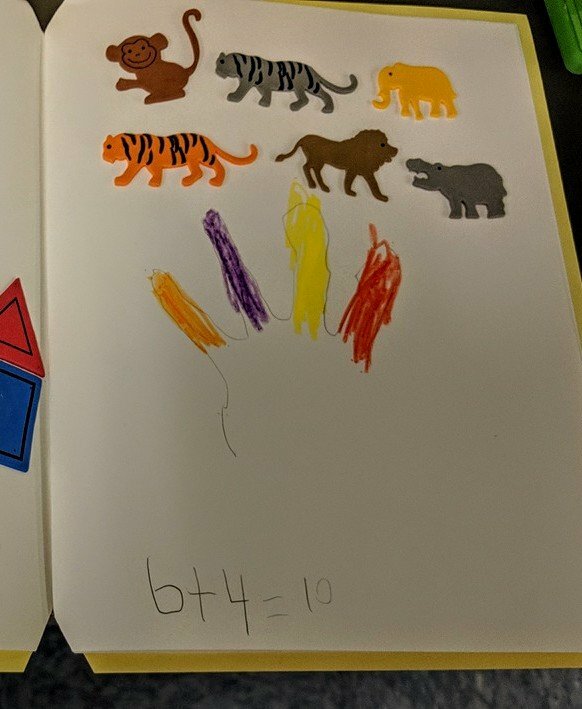 I noticed, when looking through the books afterwards, that a few of the kids wrote 5 + 5 = 10 on every page: these kids were not connecting the items on the page to the number sentences. 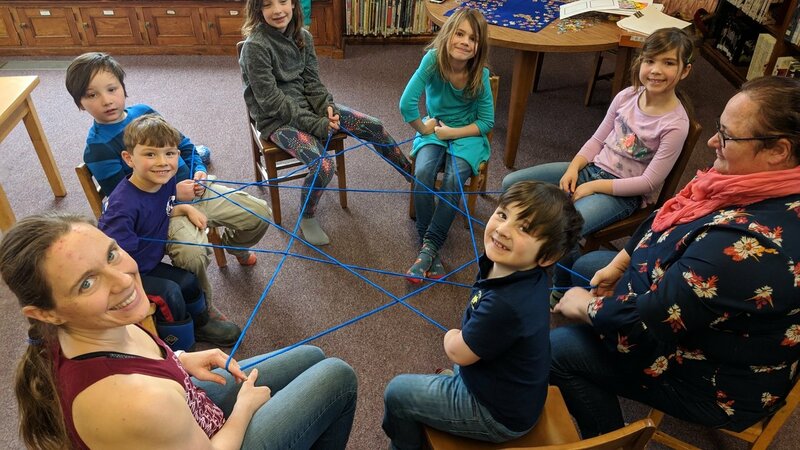 When I talked to their teacher about this she said that having them assemble the items, make them equal ten, and writing the number sentence was probably too much to do so quickly. 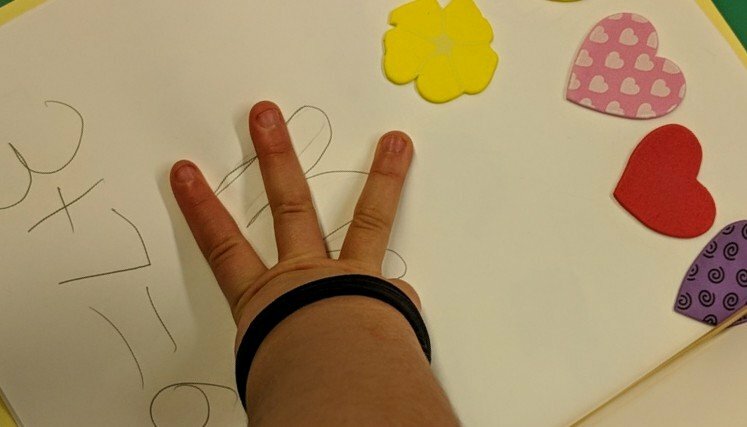 Next step would be going back to figure out how many fingers it would take to make ten and then creating the tracing of the right number of fingers. Even though the fingers looked funky, I really like including them in this book. Last step would be to revisit each page for a third time, this time to write the number sentence that describes the page. I’d slow down and make sure kids were putting their items in groupings that could be recognizable to them. 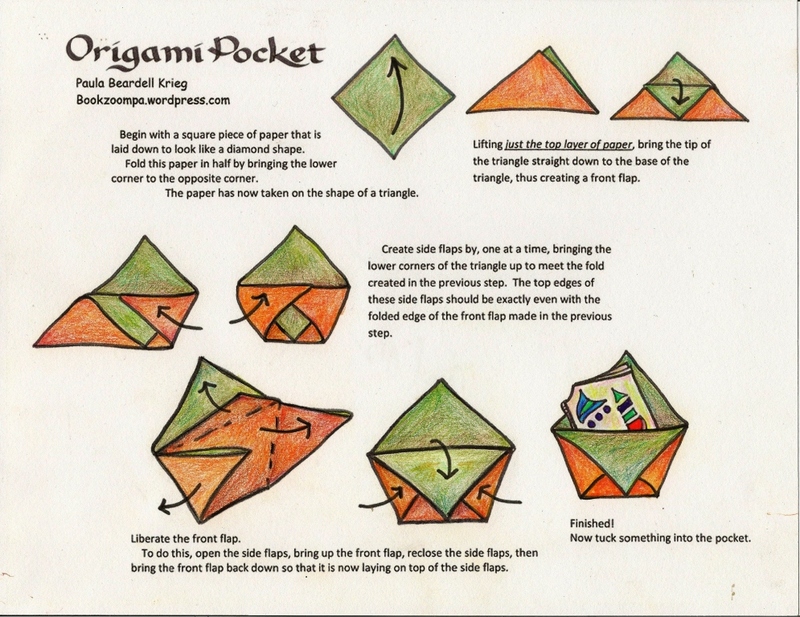 I’d probably have the kids make a big origami pocket to store all their pages in before they are bound together. 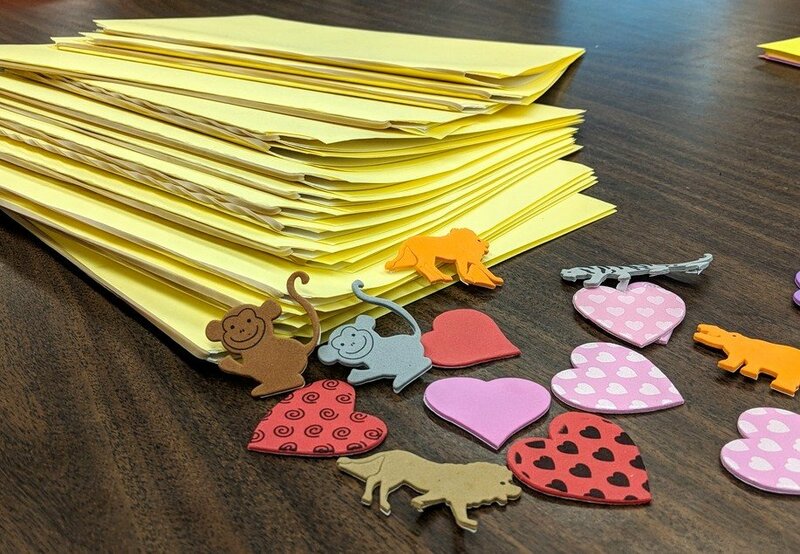 I like the idea of using items in the book that are slightly 3D, like these foam sticky-back pieces, but I’d think it would also be great to have other things, like cotton balls or popsicle sticks, that the kids glue in. I like having them work with glue. The kids that Simon Gregg worked with included some playing cards in their books. This is something I’d like to do. My local thrift store sometimes has used sets of playing cards that I can pick up cheaply. Hopefully I’ll be writing more about this project as I get more of a chance to do it with more kids. Do take a look at this twitter thread that got me thinking of this project. The videos towards the end of the thread are precious.